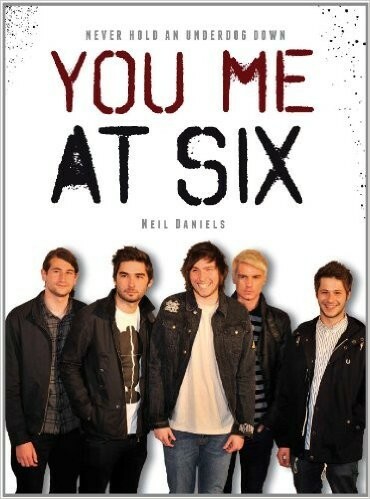 The prolific Neil Daniels has most recently written a concise book about Alternative Rock kings You Me At Six; a band with four albums under its belt including a UK number one. This is a chronology of the assent of this band from Surrey to being not only the darlings of Kerrang! but also gaining a mainstream audience. Sources used for the book include Kerrang! itself, Q magazine and UK broadsheets (emphasising the diversity of interest) and a multitude of web sources; Daniels has skilfully pieced together this first biography of a band still in its infancy. With its burgeoning back catalogue, a growing worldwide fan base and festivals up for the taking in the future, Daniels predicts even greater things for YMAS.